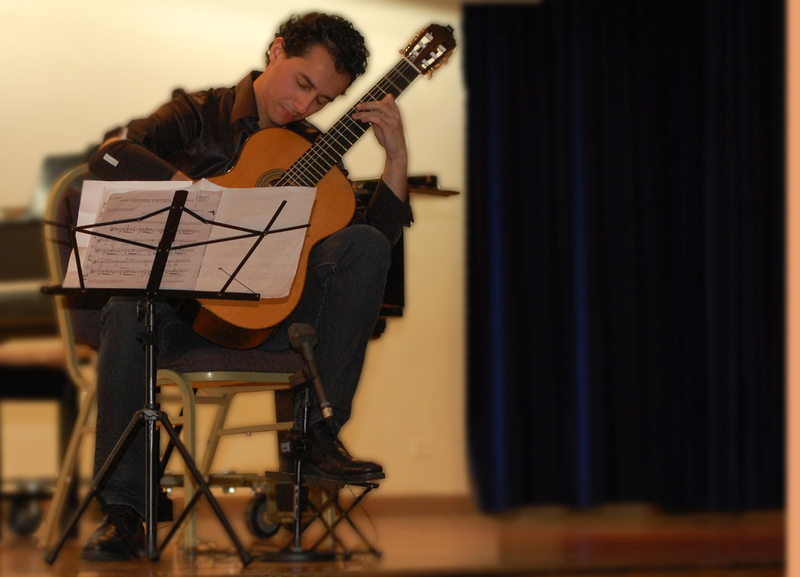 Brazilian-Armenian guitarist Joao Kouyumdjian performed for a sizable audience in Kavookjian Hall of the Diocesan Complex on Friday evening, November 5. A Julliard graduate, the talented Kouyumdjian played pieces by J.S. Bach, Isaac Albeniz and Heitor Villa-Lobos. In addition, he played Armenian selections by Iakovos Kolanian, including Nazeli Bar, Noubar Noubar and Yaman Yar. Guest performers included fellow Julliard students Solange Merdinian (mezzo-soprano), Gohar Vardanyan (guitar) and Joe Arndt (piano). This event was sponsored by the Krikor and Clara Zohrab Information Center, the New York Armenian Students’ association and the Armenian Network of Greater New York.